Giving Tuesday is Tuesday, November 27th, and we have an amazing opportunity to TRIPLE our donations!!! Yes, you read that right — TRIPLE! 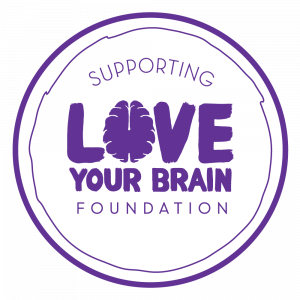 LoveYourBrain has a generous donor who is willing to match every $1 raised with $2 ON TUESDAY ONLY — so if we raise $1000 on Giving Tuesday, they will give another $2000 for a total of $3000!!! Money raised through my online campaign will benefit survivors directly by sending them to a week-long wellness retreat!! Make a donation of $28 or more …. I will send you my ebook PDF for FREE!! Simply forward me your receipt with a note of which ebook you would prefer, and I will send you the link to my ebook PDF absolutely FREE!! Life With a Traumatic Brain Injury: Finding the Road Back to Normal is a collection of her short articles, most of which were originally published on The Huffington Post. Learn about what it means to have a TBI as you read about her struggles and frustrations, like the days she can’t remember how to run the microwave, or how she gets lost driving to familiar places. Understand what it’s like to suffer fatigue and exhaustion after doing a simple task that most take for granted. This book is perfect for TBI survivors, their caregivers, friends and loved ones. It is a great book for survivors to give to their supporters so that they, too, can understand what those with TBI are dealing with on a daily basis. Embracing the Journey: Moving Forward After Brain Injury is a sequel to Life With a Traumatic Brain Injury: Finding the Road Back to Normal, and is a collection of her short articles, which were originally published on HuffPost.